During our closed week in December 2017, we were very busy indeed working on adding material to the Archives collections (accessioning! )… and to give you flavour of the material we have taken in, we thought we’d highlight a few! MS 4881 (2017/026), Stories & Games: A documentary on Bangladeshi urban and rural heritage, 2017. 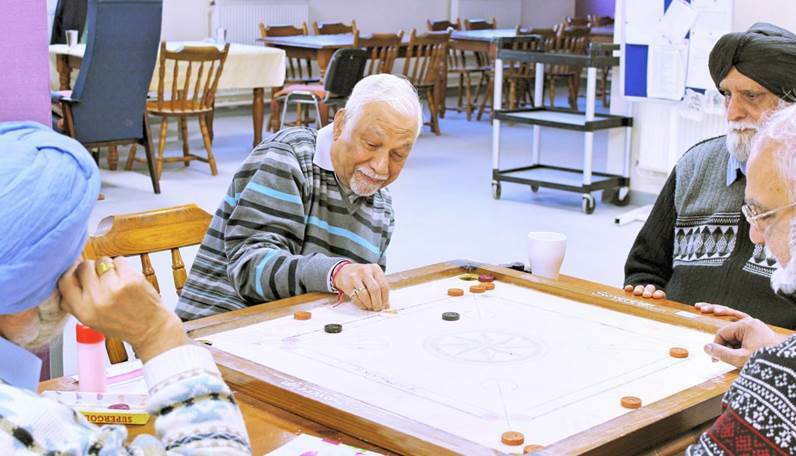 This is a documentary DVD containing a video of the games events and the oral history interviews of members of the local community both in English and Bengali. The Bengali interviews have been transcribed, and English subtitles appear on the video. Image provided by New Hope Birmingham. SF Additional (2017/027), Minutes and essays of the Friends Essay Society, 19th – 20th cent. The Friends Essay Society was a group of members of the Religious Society of Friends who met at each other’s houses one evening a month to read out essays which they had previously written anonymously, either on a subject given to them or, more often, on a subject of their own choice. The evening started with tea, and after each member had read aloud someone else’s essay, they had supper. You can see the catalogue for this material online here. 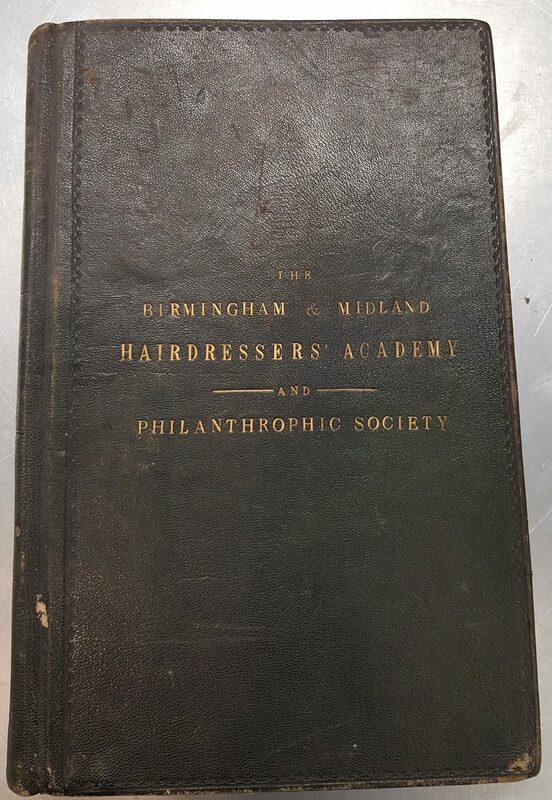 MS 4924 (2017/057), Membership register of the Birmingham and Midland Hairdressers’ Academy and Philanthropic Society, 1892-1927. 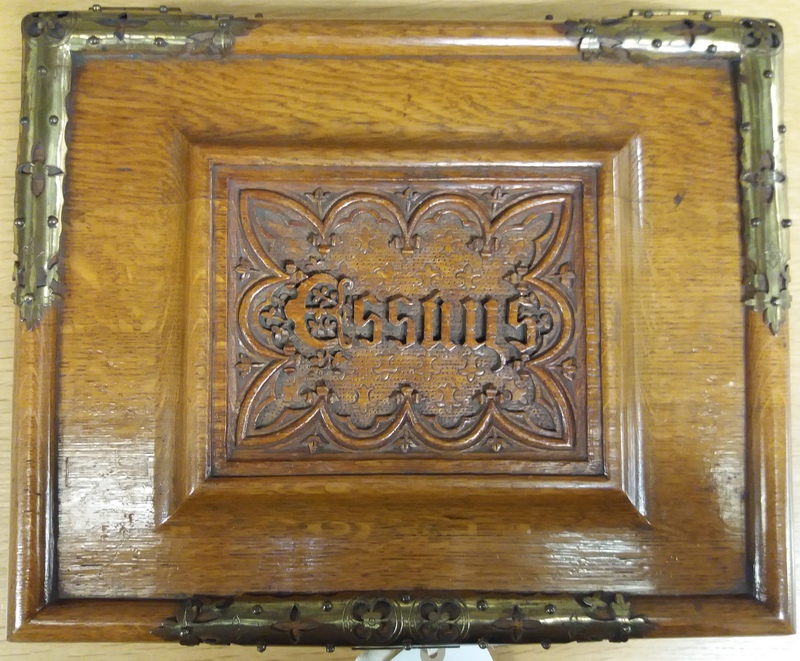 We rather liked this – it is the only item we have relating to this organisation though – so we don’t know very much about it! Birmingham Archives and Heritage has recently acquired a manorial rental dating from the sixteenth century. It gives us a fascinating insight into what Handsworth was like at the beginning of the sixteenth century. The document measures two and a half metres (just over eight feet). It is written on five sheets of parchment sewn together. It is dated to the Tuesday next after the feast of St Bartholomew the Apostle in the 30th year of the reign of Henry VIII – that is 27th August 1538. What is a manorial rental? The lord of the manor of Handsworth, who held his land from the king, was landlord of many of the people who lived in Handsworth. A rental would be made as a record of who rents which plots of land. The document would be drawn up only occasionally, for example on a change of the lord of the manor. 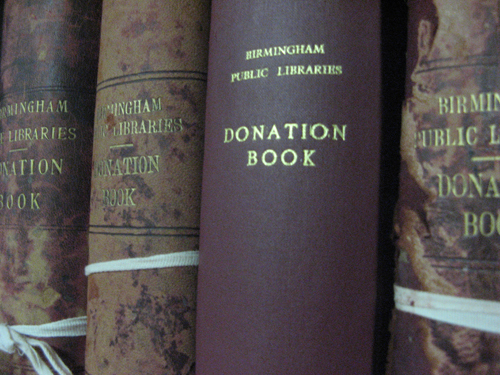 Over the last 2 years, I’ve had the opportunity to see how the archival collections we hold have been built up since the first deposit of material in 1879: from estate papers, personal and family papers, school, hospital, religious, council and business records to deposits by photographers, pressure groups and activists, trade unions and employer’s associations, voluntary organisations, charities, societies and clubs. This has been without going into the strong rooms and without opening any boxes, but instead through retro-converting our accession registers which record brief details of every deposit we have received and where they came from.